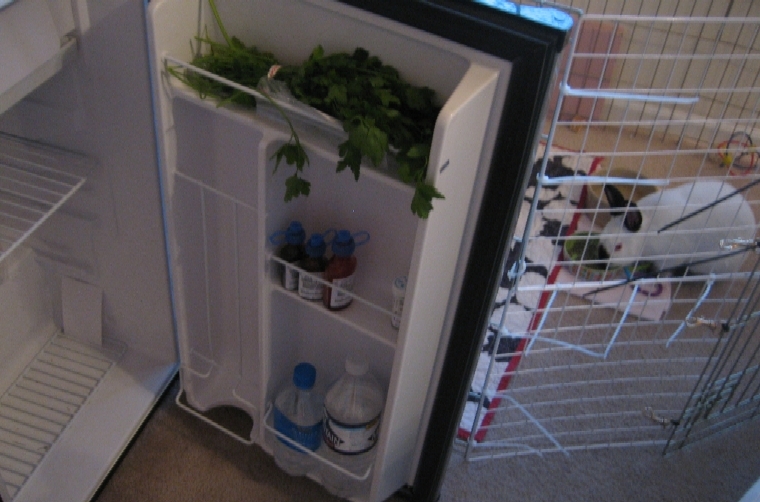 This is my mostly-empty, environmentally-bankrupt convenience fridge upstairs. I keep the bunny meds in it and stage some greens briefly. Foster bunny Iris is having her breakfast in the background. She’s not a good patient so I’m glad she isn’t taking any meds right now! Now that’s convenience. Iris is a cutie.